Between 1959 and 1994 the Apartheid policy in South Africa created ten homelands (Bantustans) for their Black population. 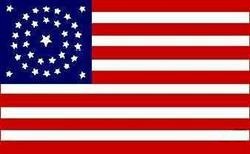 Of the ten established only four later opted for "independence" from South Africa. The independent status of these homelands was not recognized internationally and the Homelands ceased to exist and were re-incorporated into South Africa with the adoption of the new democratic constitution on April 27, 1994. But during this period a wealth of flags, shield, badges, and arms were designed for these short-lived Homelands, here then are detailed drawings of those little known works of heraldry. Arms: Per fess (at nobril point) Gules and Vert, in chief a mine headgear, in base dexter three grain sorghum ears seeded in bend, and sinister an ox head caboshed in bend sinister, the shield interlaced palewise of a traditional plumed staff; behind the shield an assegai and battle-axe in saltire, Or. Supporters: Two leopards gardant proper. Motto: TSHWARAGANANG LO DIRE PULE E NE (If we stand together and work hard we will blessed with rain). 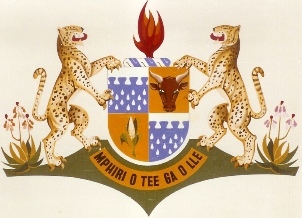 With the re-incorporation of Bophuthatswana into South Africa in April 1994, these Arms are no longer in use. Arms: Pert saltire Or and Gules, in chief a bull's head caboshed proper, in base a tree on an island Vert; behind the shield an assegai and knobkerrie in saltire Sable. Crest: Four ivory rings conjoined, standing thereon a blue crane holding in his beak a sprig with nine leaves proper. Supporters: Two leopards guardant proper. Motto: SIYAKUNQANDWA ZIINKWENKWEZI (Reach for the Stars). 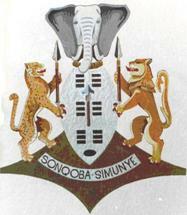 With the re-incorporation of Ciskei into South Africa in April 1994, these Arms are no longer in use. Arms: An oval shield, per fess wavy, in chief Azure, two spoons in saltire, handles upwards and joined embowed Chain Or, in base per pale Argent and sable, dexter two cogwheels conjoined in pale sable, sinister a flame Or; over all ten pairs of spear thong apertures in pale Argent. Crest: On a wreath Argent and sable, a lion passant guardant Gules holding in the dexter forepaw a horn erect, Or. Supporters: Dexter a buffalo and sinister a sable antelope proper. Compartment: Vert, sem� of succulents proper. Arms: Quarterly, first and fourth, Azure goutt� d'eau, a chief nebuly Argent; second, Or, a bull's head caboshed proper; third, Or, a mealie-head leaved erect proper. Compartment: On a mount thereon two flowered aloe plants, the sinister in autumn shades, proper. Motto: MPHIRI O TEE GA O LLE (One bracelet alone cannot make a noise or sound). With the re-incorporation of Lebowa into South Africa on 27 April 1994, these arms are no longer in use. Arms: Vert, in chief a representation of Sentinel Peak, in base dexter a crocodile reversed and sinister a leopard couchant gardant; behind the shield an assegai and battle axe in saltire, all Or. Crest: A Basuto hat proper. Supporters: Two Basuto ponies proper. Motto: KOPANA KE MATLA (Unity is Strength). Following the incorporation of Qwaqwa into South Africa on 27 April 2006, these Arms are no longer in use. Arms: Per chevron Ochre and Vert, a chevron dovetailed between in chief dexter a mealie cob and sinister a cogwheel Argent, and in base a bull's head caboshed proper. Crest: On a mount Vert a wicker basket between two aloes proper. 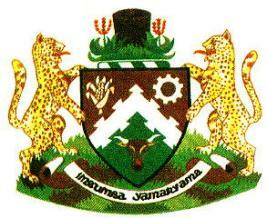 Motto: IMBUMBA YAMANYAMA (Unity is Strength). With the re-incorporation of Transkei into South Africa in April 1994, these Arms are no longer in use. Arms: Quarterly Or and Gules: first, three primitive paddle-shaped coins palewise Azure: second, an ox�s head caboshed Or; third, a demi-torch enflamed Or; fourth, three sorghum ears palewise Azure; behind the shield saltirewise a stick in bend Gules and an assegai in bend sinister Or. Crest: Two lions combatant, langued Gules, armed Argent supporting the feathered shaft of the shield proper. Wreath: A headring Or and Gules. Special Compartment: On a field Vert a rising sun Or. Motto: SIYINYANDZA (We are a bundle of wood tied together). 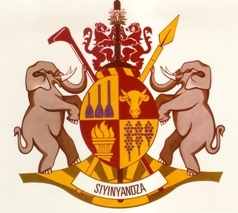 With the re-incorporation of KaNgwane into South Africa on 27 April 1994, these arms are no longer in use. Arms: Argent, a Zulu Royal Sceptre erect proper, accompanied on either side by nine spear thongs in pale and in base pied of an oval Sable. Crest: A head-ring Sable, thereon an elephant�s head caboshed proper. Supporters: Dexter a leopard clasping in its sinister claw a spear erect and sinister a lion clasping in its dexter claw a spear, proper. Motto: SONQOBA SIMUNYE (Together we shall surmount). With the re-incorporation of KwaZulu into South Africa on 27 April 1994, these Arms are no longer used. Arms: Per fess battled embattled Or and Brunatre, masoned sable, in chief a mealie head seeded Argent leaved Vert; behind the shield a battle-axe and assegai in saltire, proper, and in pale a bundle of woodstaves Or and a knobkerrie, resting in a quiver, proper. Crest: In front of an otter skin Brunatre pendanrt from the woodstaves by a neckband Vert, a breast feather of the red-breasted shrike issuant proper. Wreath: A head ring Sable. Supporters: Dexter a rietbok (reedbuck) and sinister a wildebeest, both proper. Motto: KUVUSWA EZIVUSAKO (He who helps himself, is helped). With the re-incorporation of KwaNdebele into South Africa on 27 April 1994, these Arms are no longer in use. Arms: Vert, an elephant's head caboshed Or, tusked Argent, the whole within a bordure Or. Crest: A Venda tribal drum proper. Motto: SHUMELA VENDA (Always Aspire for Venda). Following the re-incorporation of Venda into South Africa on 27 April 1994, these Arms are no longer used. Each of South Africa's former homelands had their own law enforcement services, correctional services, and police departments. Each had their own distinct emblems and badges, some of which are featured in this section. 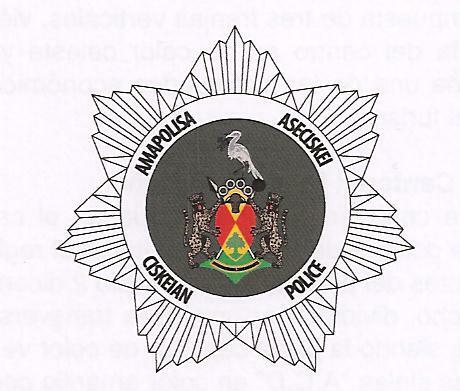 The badge of the Ciskei Police Department comprises a seven-pointed star bearing a black roundel with the Ciskei Arms in full colour, surrounded by an annulet in green, edged in gold, bearing the words AMAPOLISA ASECISKEI above and CISKEIAN POLICE below. Ciskei was a nominally independent state (Homeland - Bantustan) in the south east of South Africa. It covered an area of 2,970 square miles, almost entirely surrounded by what was then the Cape Province, and possessed a small coastline along the shore of the Indian Ocean. The badge of the Division which comprises a black outline of the Ciskei Arms in the centre of a yellow background of a rayed seven pointed star, surrounded by an annulet bearing the words I CANDELO LOGCION. MTHETHO above and LAW ENFORCEMENT DIVISION, below, all in black letters. Beneath the arms is the Ciskei motto, SIYAKUNQANDWA ZIINKWENKWEZI which translates as "Reach for the Stars"
The badge of the Ciskei Traffic Police Force comprised a light blue shield fimbriated in white, bearing in the centre a five pointed star faceted black and white. In the centre on a dark blue roundel is the Ciskei Arms in full colour. Over the upper ray of the star is a ribbon with the words CISKEI in white, while below over the two lower rays is a ribbon inscribed ULAWULDLWEZEHOLELA and TRAFFIC CONTROL, and beneath is a horizontal stripe with the date 1975. The badge of the KwaZulu Police Department comprised a yellow-ochre and white eight-pointed rayed star charged in the centre on a white roundel with the coat of arms of KwaZulu in full colour, within a green annulet bearing the words AMAPHOYISA AKWAZULU above and KWAZULU POLICE below, in yellow-ochre letters. 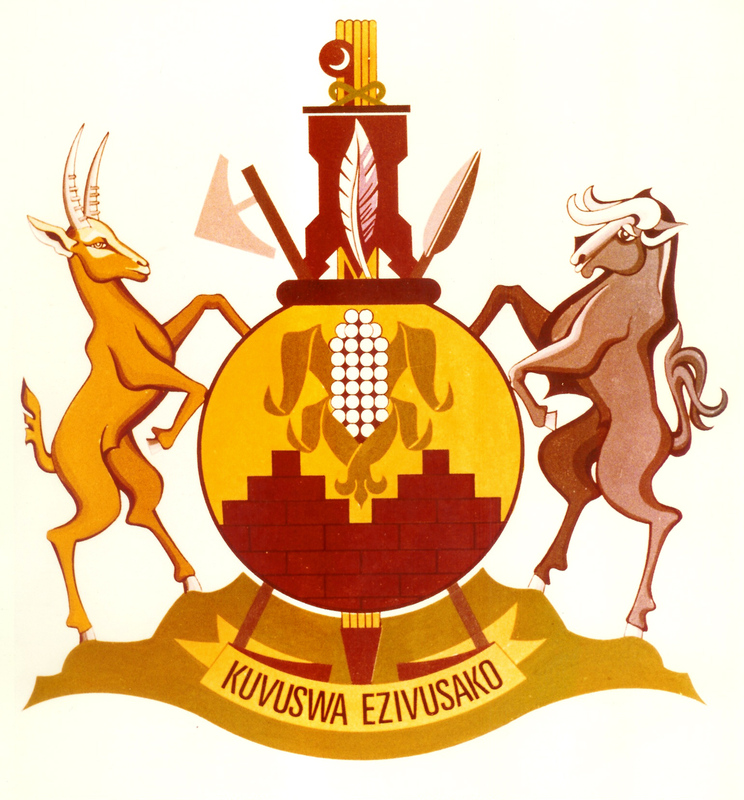 The KwaZulu Correctional Services badge consists of a gourd charged with a representation of the ground plan of a cattle kraal, with an inner kraal, above which are three Zulu huts; the gourd resting on a grass mat, all within and conjoined to two feathers tied together to form an open wreath. The badge was designed by the South African Bureau of Heraldry and was registered under the Heraldry Act in 1991. The Lebowa Police Department badge comprises a fourteen-pointed facetted star in gold bearing in the centre on a white roundel the Arms of Lebowa in full colour, within a gold annulet bearing in black letters the words "LEBOWA" below and POLISIE, MAPHODISA and POLICE clockwise in a semi-circle above. The badge of the Transkei Police Department consisted of a rayed five-pointed star shaded brown and white, charged in the centre, on a white roundel, with the coat of arms of Transkei in full colour within a white annulet edged in brown bearing the inscription AMAPOLISA ASE TRANSKEI above, and TRANSKEI POLICE below. 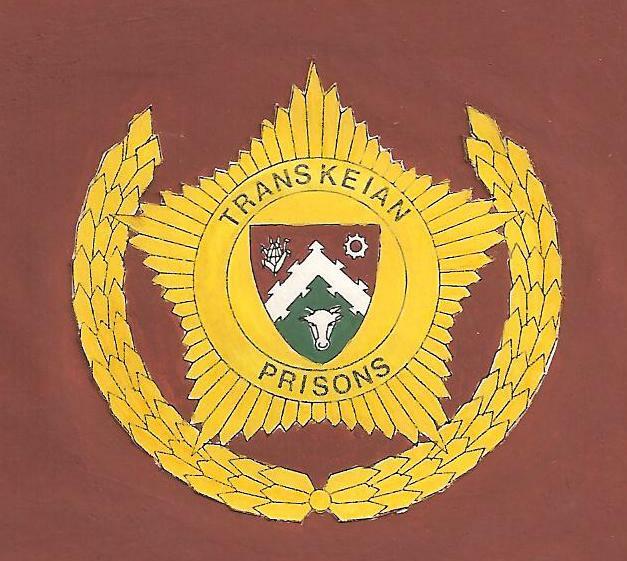 The badge of the Transkei Prisons Service is a gold five-pointed rayed star with the shield from the Transkei Arms in colour in the centre, within a gold annulet bearing the words TRANSKEIAN PRISONS in black letters, all within a gold open laurel wreath. The badge of the Transkei Defence Force was a black Nguni ox-hide shield, superimposed on a spear and rifle with fixed bayonet in saltire, supported by two leopards standing on a gold ornamental ribbon folded back in white bearing the motto, DISCIPLINE LOYALTY DUTY. 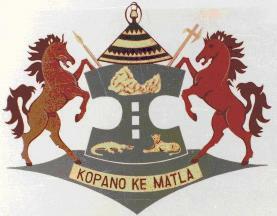 The badge of the Bophuthatswana Police Department comprised a yellow nine-pointed star charged in the centre on a white field with the coat of arms of Bophuthatswana in full colour within a red annulet bearing the words BOPHUTHATSWANA POLICE in white letters. The badge of the Bophuthatswana Prisons Service is a gold facetted nine-pointed star bearing, in the centre, on a yellow field, the coat of arms of Bophuthatswana in full colour within a white ring with the words BOPHUTHATSWANA PRISONS in black letters. 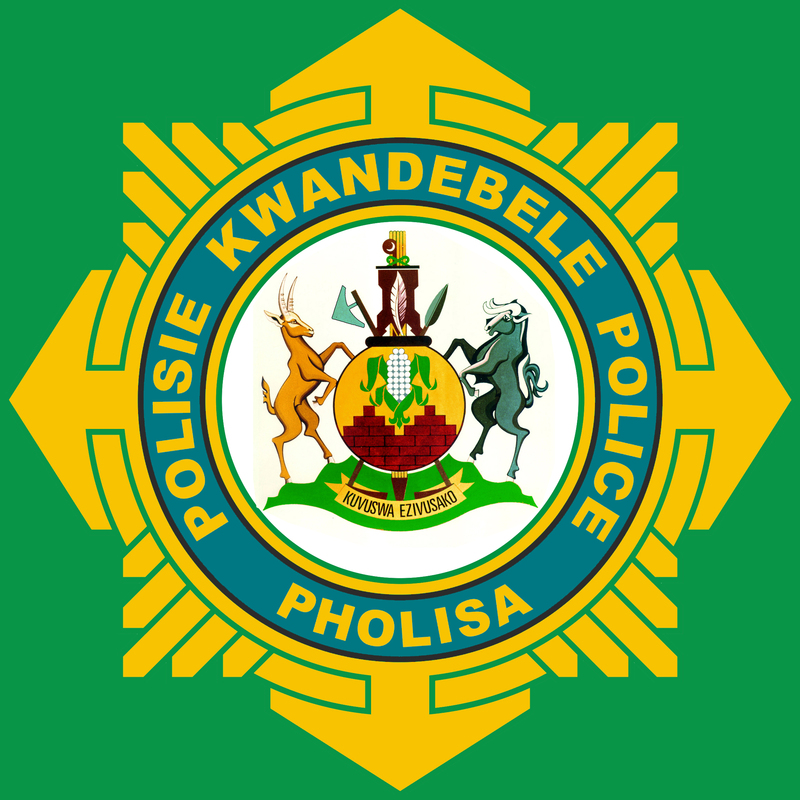 The KwaNdebele Police Department badge comprised four battle-axe heads in cross with rays in saltire, surrounded with a ribbon bearing the words KWANDEBELE POLICE PHOLISA - POLISIE and in the centre the coat of arms of KwaNdebele in full colour. The badge of the Venda Police Department was a facetted six-pointed white star charged in the centre with a gold roundel bearing the Venda Arms in colour, within a black annulet bearing the words MAPHOLISA A VENDA above, and VENDA POLICE below.